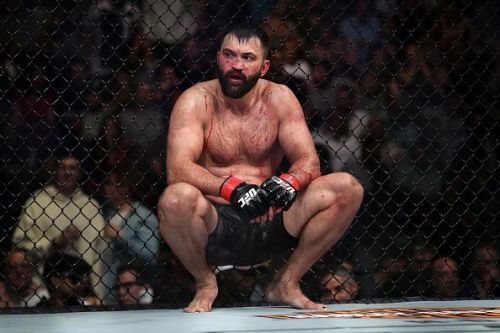 Former UFC Heavyweight Champion, Andrei Arlovski lost his second consecutive UFC fight and his eighteenth career bout versus big-hitting Russian, Shamil Abdurakhimov. In truth, both men entered the fight in indifferent form with Arlovski having won just two of his last eight bouts with Abdurakhimov having lost two of his last five. Arlovski who had made it his mission to regain the UFC Heavyweight Championship he held between 2005 and 2006 ran to the Octagon eager to fight close to his homeland of Belarus for the first time in his 18 year UFC career. 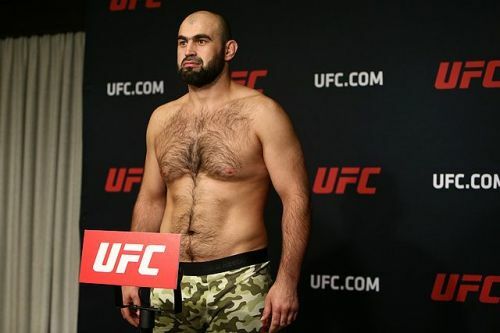 However, it was the Russian hometown fighter, Abdurakhimov who began the fight more aggressively with an early take-down that ultimately went nowhere leading the referee to stand both fighters up. Nothing else of note happened until the final seconds of the first round wherein the two fighters exchanged some punches before the buzzer. The second round saw both fighters attempt to find their range before Adurakhimov knocked Arlovski to the mat with a big right hand and landed some excellent shots to the head while "The Pitbull" attempted to rise to his feet. Arlovski finally found his groove and scored a beautiful take-down as he tried to increase the tempo but his Russian opponent didn't give him an opportunity to move in for an attempted knockout as he quickly dodged any further assault and got back to his feet before the former UFC Heavyweight Champion scored another take-down shortly prior to the conclusion of the round. The final round didn't see too much action and was most notable for the finger poke and low blows Arlovski suffered. Following fifteen minutes of action, Adurakhimov was announced as the winner by unanimous decision and will move up the Heavyweight rankings at the expense of Arlovski, who surely now will be considering retirement with his UFC title dreams all but over. UFC 51: What happened when Tito Ortiz called out Ken Shamrock and Chuck Liddell?